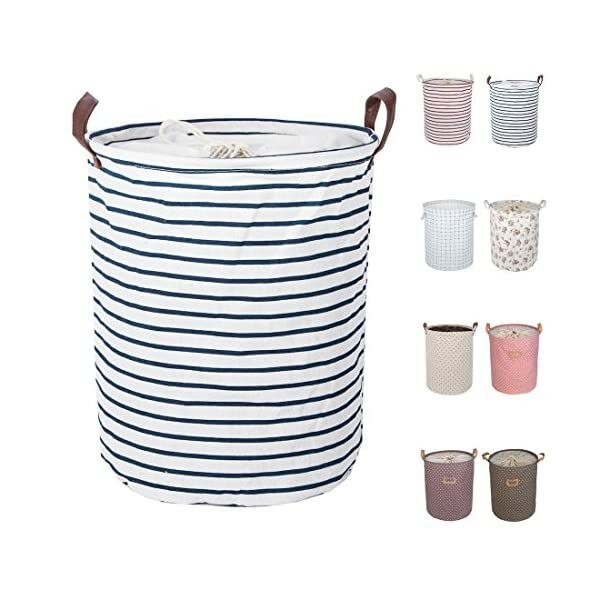 DIMENSION: 19.7H×15.7D inches (50×40cm), Convenient size with capacity for 30+ clothes. 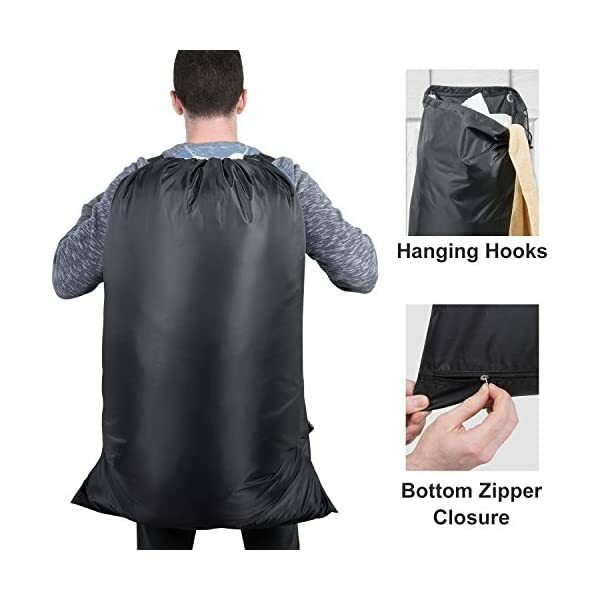 MATERIAL: 100% Ramie Cotton Fabric + Waterproof PE coating inner, which to achieve the effect of moisture resistant, lightweight and durable. 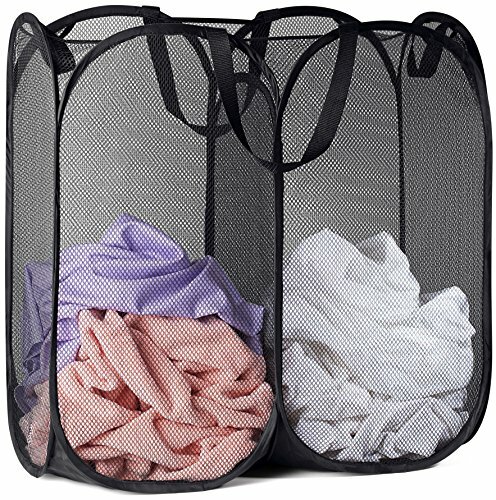 APPLICATION: Storage laundry bins are a fun and creative way to organize and store, Clothing Storage (especially for underwear, socks, bra, etc. 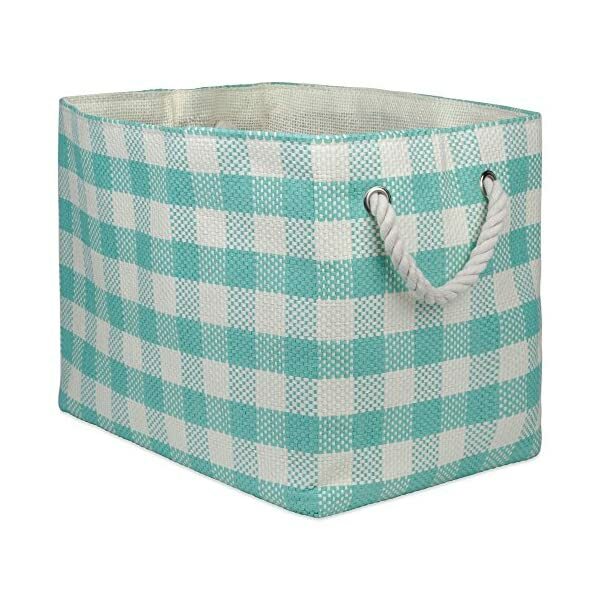 ), Home Textiles Storage, Toy Storage, Baby Product's Storage and Pet Product's Storage. 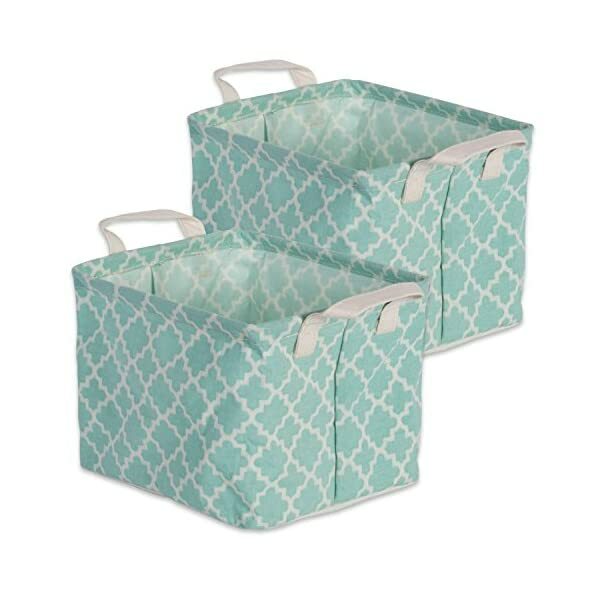 Set includes 2 Extra Small bins that measure: 8 x 9.5 x 7" and would be a perfect organizing solution for your laundry room or bathroom, closet, kitchen and more. 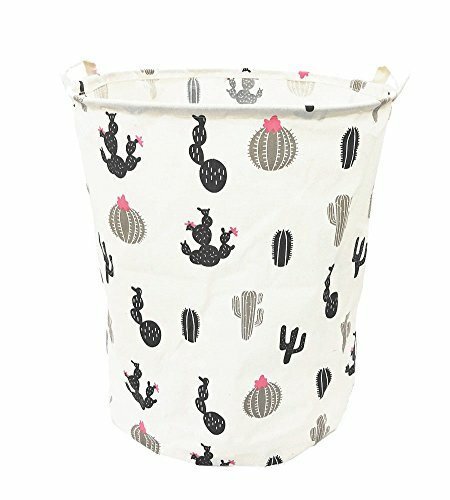 MATERIAL AND CARE: 60% Cotton; 40% Polyester; Simply wipe with a damp cloth or a sponge when necessary. Bottom is not reinforced. Perfect for setting on a shelf or in a cabinet. 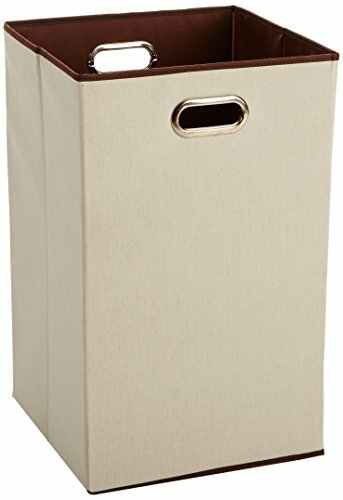 LIGHTWEIGHT AND STYLISH: The neutral color palette of these hampers allows to fit them into any interior style. Simply collapse the bin and store when not in use to free up space. 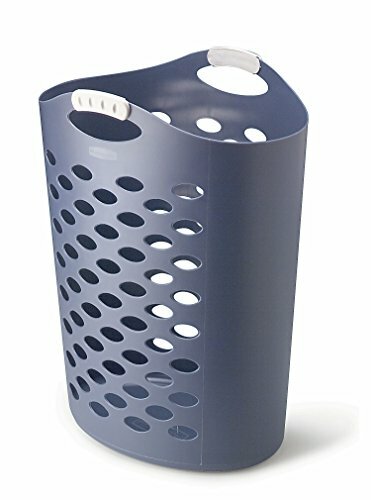 WATERPROOF LAUNDRY HAMPER - Measures 16 x 16 x 19"
Size: Dia. 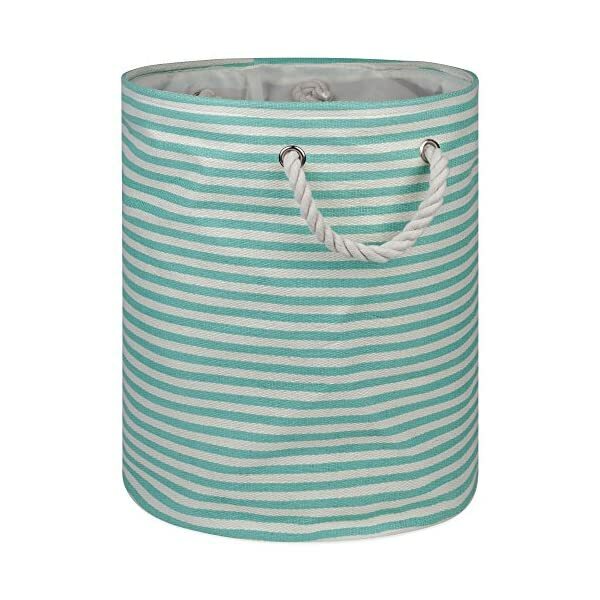 13.7"(D)x17.7"(H) / 35(D) x 45(H)cm approx., please check the size carefully before purchase. 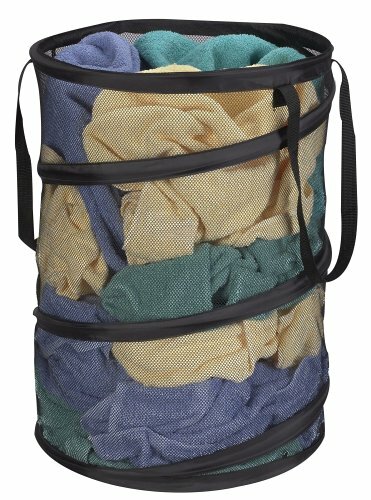 LARGE CAPACITY: The overall dimensions of this laundry backpack are about 24 x 36 in / 61 x 91 cm. 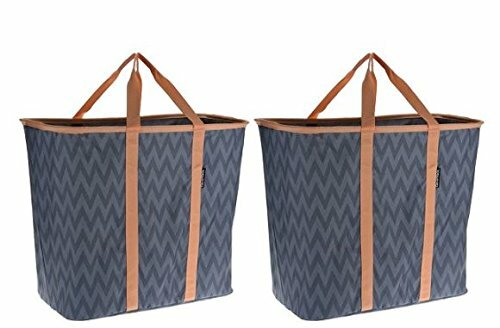 This laundry bag is spacious for your dirty clothes, and also ideal for storing your travel accessories. 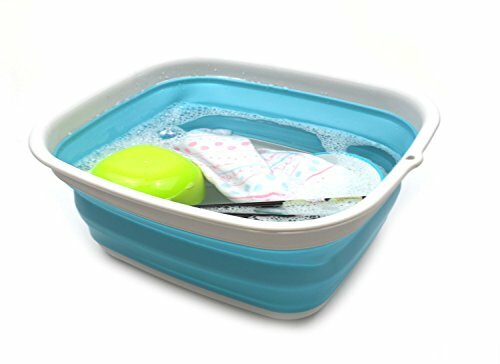 It is suitable for university, dormitory and family use. 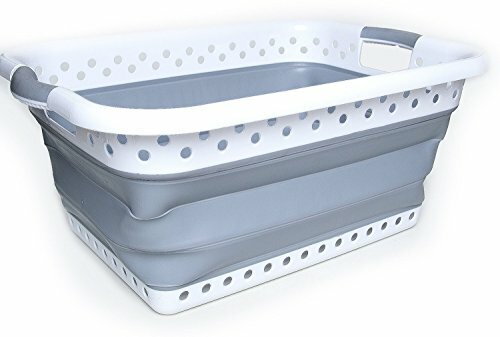 SAVE SPACE: Combined with two iron rings and two included hooks to fix the laundry bag in place, allowing you to store clothes with ease. 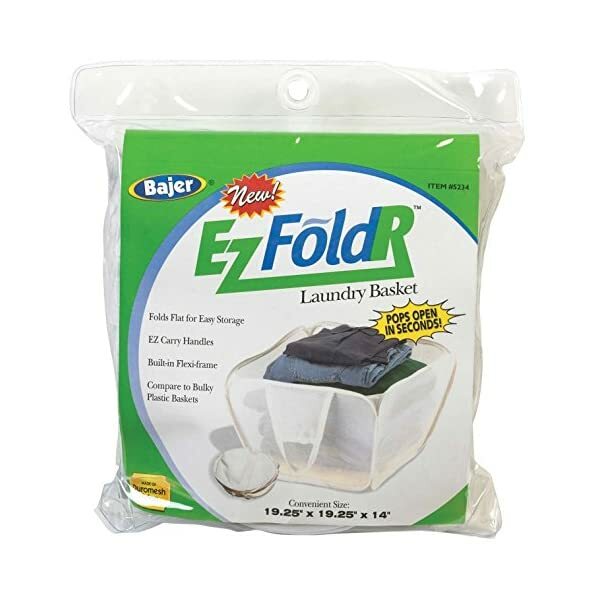 Additionally, for convenient storage when not in use, the laundry bag can be folded to a compact size. PREMIUM MATERIAL: Made of tear resistant polyester fabric for long lasting durability. 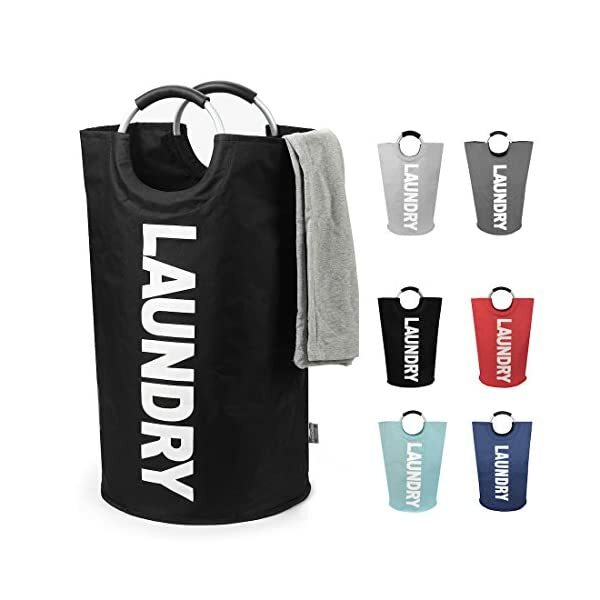 The laundry backpack can hold up to 15lbs. Note: When the laundry bag is full, use the cord lock to tighten the drawstring in the opening of the bag. To ensure full closure, tie another knot over the cord lock once it is fully tight. 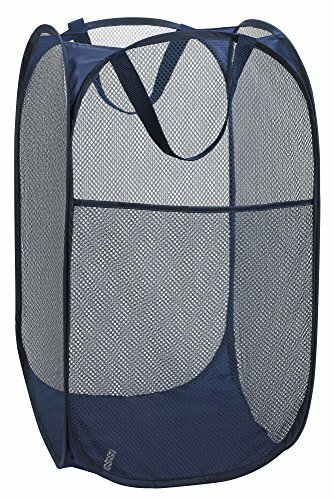 Mesh Popup Laundry Hamper – Portable, Durable Handles, Collapsible for Storage and Easy to Open. 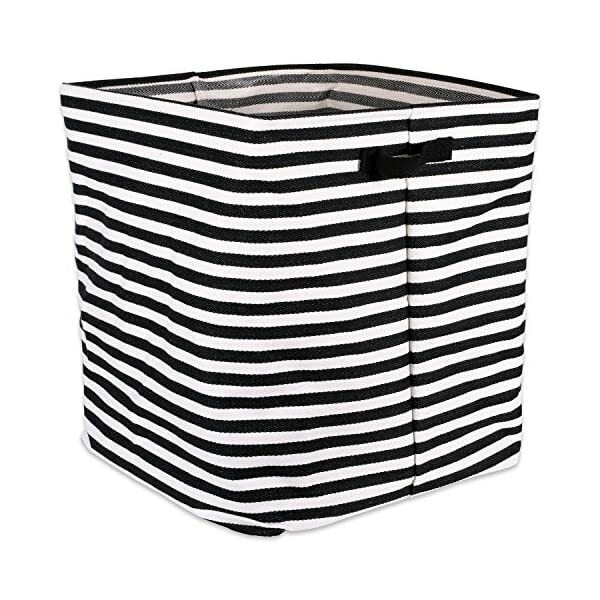 Folding Pop-Up Clothes Hampers Are Great for the Kids Room, College Dorm or Travel. 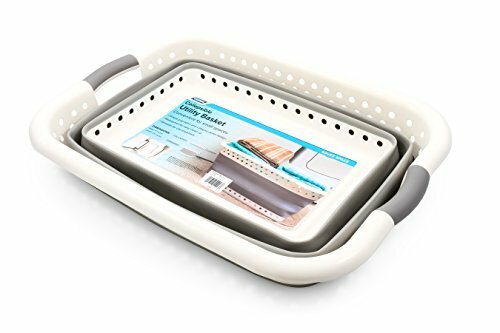 User friendly by simply pop-up to open when using and collapses to flat for space saving storage. 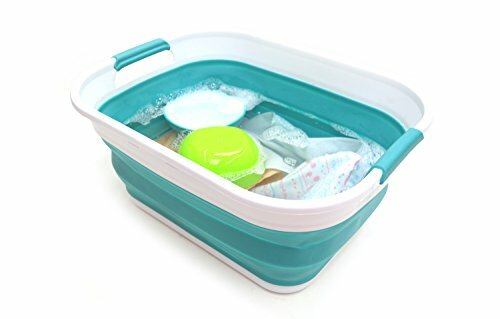 BPA Free & dishwahser safe. User friendly by simply pop-up to open when using and collapses to flat for space saving. 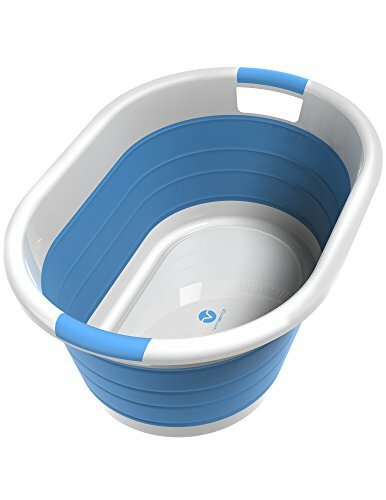 Perfect for icing beverages, washing dishes and also outdoor uses, such as camping, BBQ and campsite cleanup.